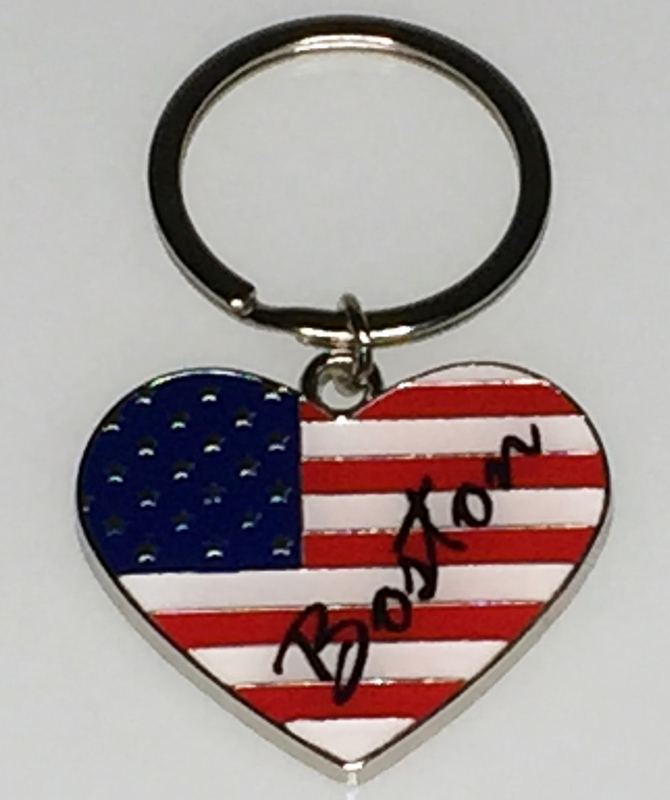 Our USA HEART KEY TAG is made from zinc alloy, is nickel plated, filled with soft enamel, and then has a thin film of epoxy over the enamel. They measure 1 5/8" wide and are attached to a 1 1/4" flat split ring. Best color to imprint on these is BLACK.